Call for a quote on a granite headstone. M & R Granite Company designs and manufactures every memorial piece that they sell. This allows them to ensure the best quality cemetery monuments and granite headstones possible. They have provided over 100,000 memorials for the entire Spartanburg, SC area over their many decades in business. M & R Granite Company has been providing services for the Spartanburg, SC area since 1946. They are promising, ethical retail manufacturers of grave markers and quality, handcrafted granite headstones. The friendly staff at M & R Granite Company always strive to assist you with many helpful options for the most suitable decision in regards to the cemetery monument you choose. With so many options, you'll have everything you need to choose the right granite headstone. If you are planning on creating a grave marker for a loved one, be sure to talk with M & R Granite Co Inc of Spartanburg, SC. We work hard to deliver service that cannot be matched. Contact M & R Granite Company with any questions or concerns you may have about a cemetery monument; they will help with the answers and guidance you need with no obligation. If you are looking for grave markers to provide you and your family and friends a memorial most suitable for the remembrance of a loved one, talk to M & R Granite Company. They also can help you with name additions to gravestones of relatives over the years; it is a significant way to chronicle the passing of an entire family over a period of time. 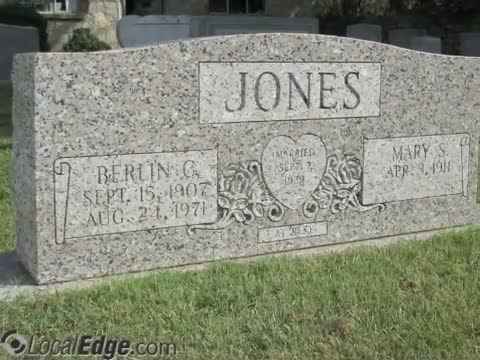 M & R Granite Company has a lasting tradition of creating grave markers that are beautifully crafted and well designed. Each and every grave marker is individually designed for the family. Your family will love this piece of remembrance for a loved one. Field-stones. Typical motifs for the carving include a symbol and the name and age of the deceased. Granite. Granite is a hard stone and requires skill to carve by hand. Whether you are in need of gravestones as a testament of wealth and status, or if you want a beautiful memorial piece to recognize the loss of a family member or friend, contact M & R Granite Company. They have the experience, knowledge and ability to make that happen. Both affordable and open-minded to all unique ideas brought to their attention, M & R Granite Company will craft a granite headstone that is both stunning and inspirational. Contact M & R Granite Company of Spartanburg, SC for quality memorial work. They apply modern methods of carving, backed by computer-controlled rotary bits and sandblasting over a rubber stencil, to ensure perfect, beautiful outcomes. They can offer you a cemetery monument to cherish the memories of your loved one. Weekend & After Hour By Appt.